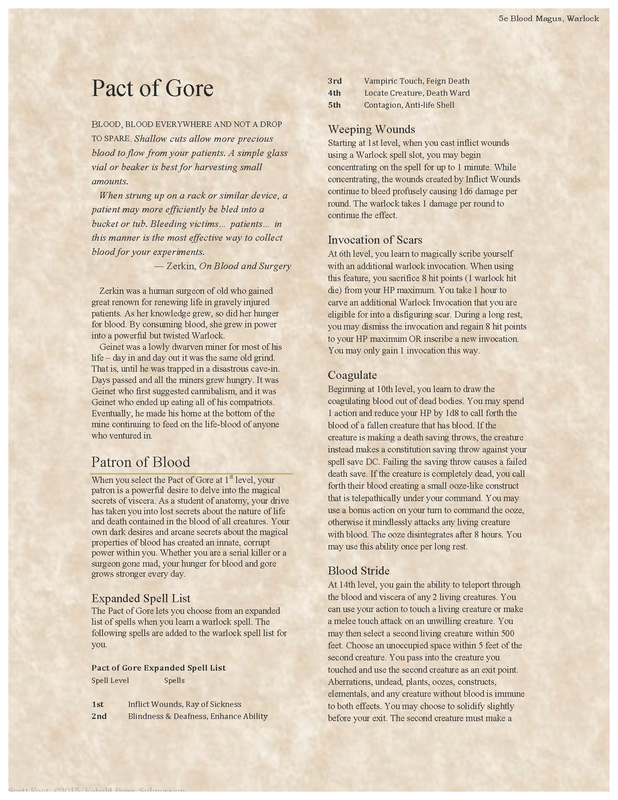 I’ve noticed a lot of blood mages rely very heavily on HP as a means of casting spells, but for my tastes, it didn’t feel quite right for 5e. Plus, I didn’t feel like it was necessary to create a whole new set of mechanics when the Warlock class already has such strong mechanics. Thanks to everyone at Wizards of the Coast and everyone who has ever worked on Dungeons and Dragons. Acknowledgements to r/DnDBehindtheScreen and especially /u/FamousHippopotamus. His writings on DMing and World Creation really helped me go for it. Of course, lots of thanks to /r/DnD and /r/DnDNext, and /r/UnearthedArcana. 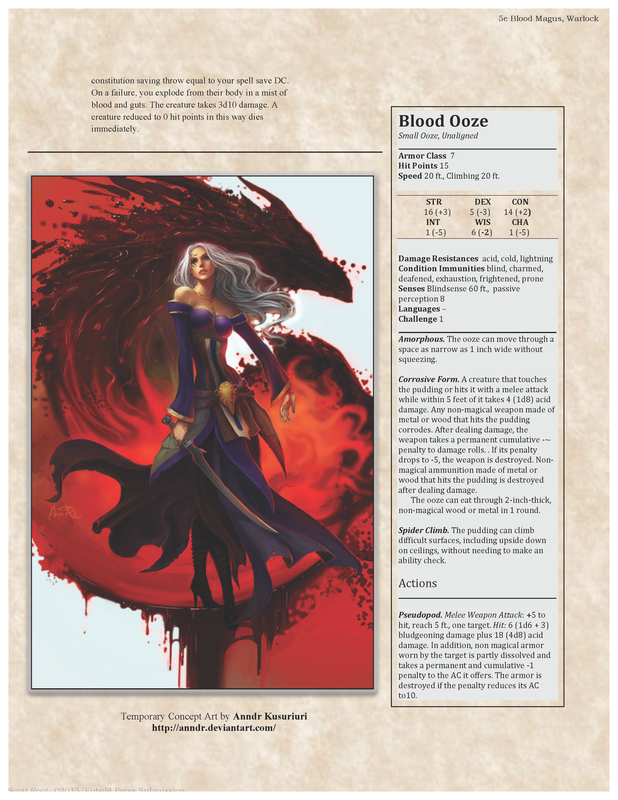 Special thanks to Anndr Kusuriuri, for not suing me for using the Blood Mage artwork. I’m using it under the presumption of Creative Commons Attriubtion-NonCommercial-ShareAlike 4.0 Internation License, and not for commercial use. If that’s not cool, please let me know. But I’m a big fan of your artwork if you happen to read this. Stumbled across this by accident. This is famoushippopotamus. Thanks for the shoutout!